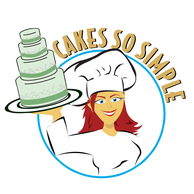 CakesSoSimple.com is going to Rock the Wedding Cake Industry in Melbourne and Central Florida. We are here!!! We are new to the area and we bring so much to the table. We want our Brides and prospective clients to know we will provide them with the utmost in customer service. From the moment of scheduling the first cake tasting and consultation we work hard for our Brides and prospective clients. We will do everything in our power to make sure your event is the best we can possibly make it. We will make what ever flavor you would like and we love to be challenged on cakes to make. When you choose something we have never done before you get the best price possible. We would like for you to know we are bringing 30 plus years of experience to the design and decoration of your wedding cake, grooms cake, novelty cake, or birthday cake. We also are very proficient in making incredible cupcakes and mini cupcakes. Our flavors include but are not limited to Vanilla, Chocolate, Red Velvet, Carrot, Strawberry, Creamsicle, Pistachio, Almond, Wedding White, Creme De Menthe, Chocolate Raspberry, Chocolate Strawberry, Kahlua, Amaretto and that is just to name a few. Our fillings include but are not limited to bavarian, vanilla, raspberry mousse, strawberry mousse, chocolate mousse, pineabpple, white chocolate amaretto, Lemon, green apple, pomegranite, and any flavor you would like to try. We are pleased to be in this area and provide our unique and custom service to the Melbourne and Central Florida Area. we know that once you visit with us you will have to look no further. We can custom fit any budget with an exquisite cake and serve the number of guest you have. We truly hope that you will realize we have many years of baking and decorating experience in our back ground and just how dedicated we are to serving you and making your event, no matter how large or how small, the perfect event for you. Please visit our Gallery and view the cakes we have made over the years. We would love to add your cake to our gallery. It is our goal to bring your vision to life.We promise to do our very best to make your event absolutely incredible. We want our cakes to be center pieces you and your guest talk about for many years to come. The first step is to contact us. The second is to schedule your private and personal consultation. Please call today 1-757-724-5100.